It’s a sunny and warm Monday afternoon in the Motor City as Pericak shares what goes into the perfect automobile. “It is something you have to feel; something that comes from within,” he said. The film A Faster Horse chronicles Pericak and his team bringing the 50th Anniversary Mustang to life. At the time, Pericak was Mustang’s Chief Engineer, tasked with upholding Ford’s most significant nameplate during the worst economic downturn in Detroit’s history. In one particular scene, Pericak declares the car isn’t ready. The team has the Mustang in a capable, even confident place, but something is missing. When Pericak drives it during testing in Arizona, he knows. 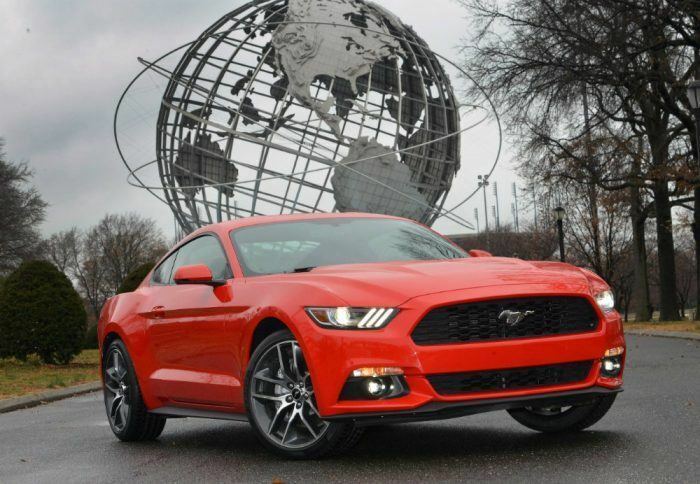 The 2015 Ford Mustang returned to the World’s Fair site in New York City, where it originally debuted in 1964. The Mustang celebrated its 50th anniversary on April 17th, 2014. 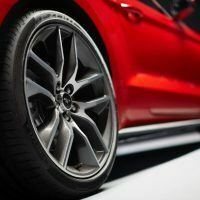 Photo: Sam VarnHagen/Ford Motor Company. Before design studios and product development centers, there was the living room floor and a curious boy running his vast Matchbox collection about. Before the spotlight in a Hollywood film, there was a factory, and a recent engineering grad working door trim panels. Well before the machine that is the 50th Anniversary Mustang, there were the machines on the manufacturing line. They required proper set up so every door trim panel would meet correct specifications. This was “job one” for Pericak, a term that would ultimately take on new meaning later. However, before Pericak touched a Mustang professionally, it touched him personally. 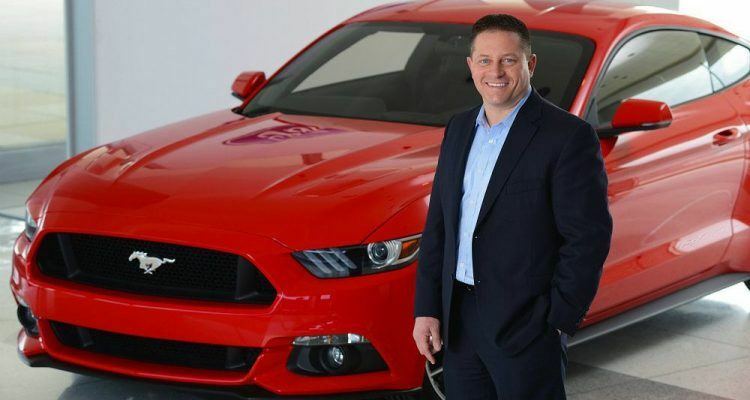 Today, Pericak is the Global Director for Ford Performance, a promotion earned following the success of the 50th Anniversary Mustang. While Pericak acknowledges it’s a dream job, he doesn’t downplay the challenges. One of the biggest is managing stricter government regulations. Pericak and his team are developing technological advancements to satisfy customers, government officials, and corporate objectives set by Ford. “We are figuring our way through it and finding the end solutions for sure, but it’s a huge challenge to deliver what everyone expects from us, and do it in an way that meets all the requirements,” he said. Another challenge for Ford Performance is creating a strong global lineup. Pericak believes the 2016 Focus RS helped successfully accomplish that. 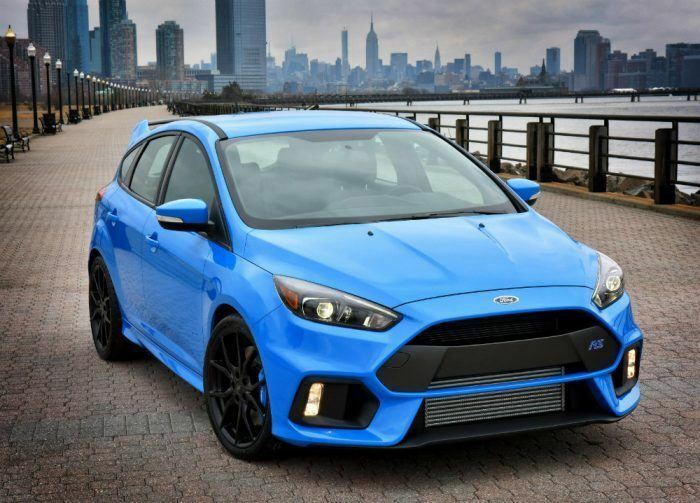 The Focus RS is one of 12 new performance vehicles Ford will introduce globally through 2020. Photo: Ford Motor Company. 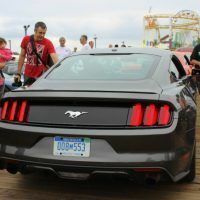 Pericak draws often from his experience working on the 50th Anniversary Mustang, where the margin for error was nonexistent. 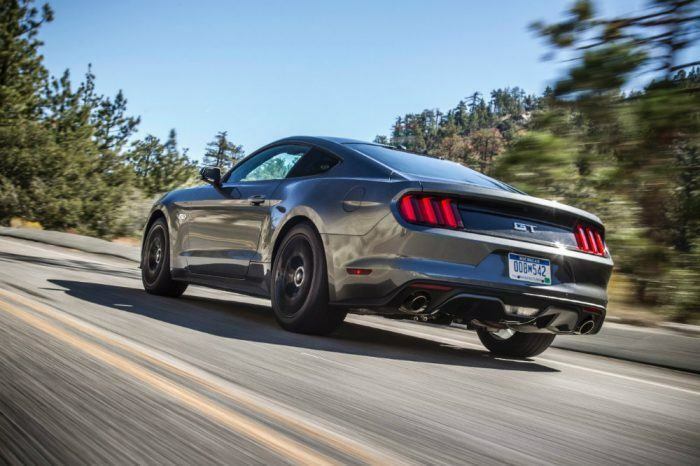 Mustang is, after all, Ford’s most iconic name, synonymous with freedom, performance, and affordability. 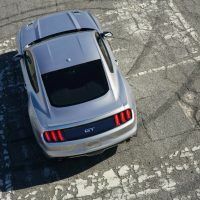 With legions of fans around the world taking the car to heart, producing something that reflected the Mustang spirit was paramount. Pericak finds himself in this position again. 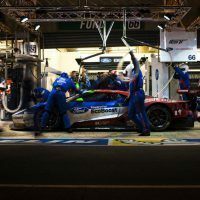 Ford’s return to Le Mans this year demonstrated how they combine performance and teamwork. The number 68 GT of Sébastien Bourdais, Joey Hand, and Dirk Müller emerged as the winner of the GTE Pro Class of the 2016 Le Mans 24 Hours. The number 69 GT of Ryan Briscoe, Scott Dixon, and Richard Westbrook took third place. 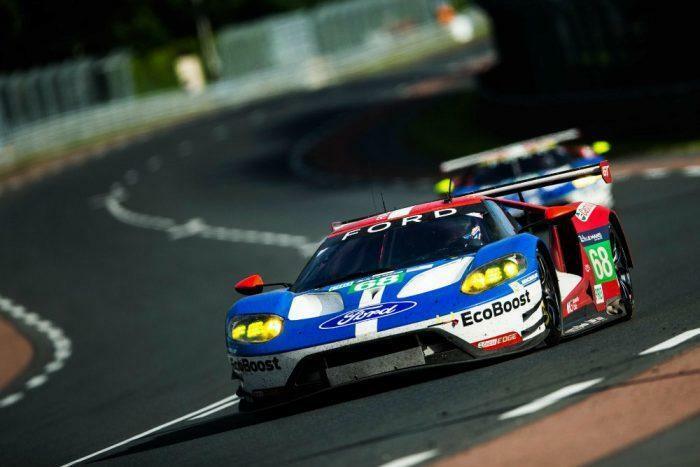 The journey to the podium started last year, when Ford announced a return to Le Mans. 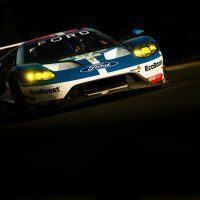 The Ford Chip Ganassi Racing team worked around the clock, preparing for the day. Should Ford capture a victory, it would stand as an incredible tribute to their famous Le Mans run in 1966. However, Ferrari saw differently, and raced their number 83 car like none other. The occasion ignited a long rivalry, but in the 20th hour, Ford put Ferrari in the rearview, sealing the victory. 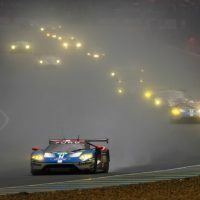 The Number 68 Ford GT races to victory in the GTE Pro Class of the 24 Hours of Le Mans. Ford’s return to Le Mans came 50 years to the day after their first victory there 1966. Photo: Ford Motor Company. When I interviewed David Gelb, the director of A Faster Horse, he said he was inspired by Pericak’s leadership. Every film he works on he implements what he learned from Team Mustang. I asked Pericak to share that leadership style, hoping to glean some wisdom. I asked him to elaborate further . . . There is a marvelous string of scenes in A Faster Horse where Pericak drives through the Detroit area in a Mustang. Near the end of the film, he wonderfully explains how people will go to great lengths as long as they know somebody they trust is there. That what people really need is somebody to cheer them on. The subtle rumble of the Mustang is a masterful edition to an already powerful message. “There are a lot of smart people held back by their own fears or inhibitions,” he says, stopping the car for a moment. When he accelerates again, Pericak explains the ultimate illustration of leadership, stemming from this idea. It’s true. I know many smart people who just need that extra encouragement. Some of them even write for this publication. Pericak’s drive finishes as he pulls into the Ford Product Development Center. There is nothing to be said now, only an inherent symbolism is felt. The 50th Anniversary Mustang was a success but life goes on. This is the way of the automotive business, not unlike many others. It never ceases and so rarely rests. All the more reason people who embody industrial prowess, product passion, and family values are needed. Ford has always been at its best when facing the worst, but it’s because the blue oval houses leaders like this; ones who challenge, inspire, mold, and never quit, just like the business itself. Henry Ford understood this generations ago. Alan Mulally, more recently, encompassed it. “We are going to survive another 100 years and persevere, but only if we support each other,” he said. When Pericak mentioned he played with Matchbox cars as a kid, I smiled. It gave me a lot of hope. I have Matchbox cars on my desk. No Comments on "Ford Performance: Perseverance, Passion & Pericak"